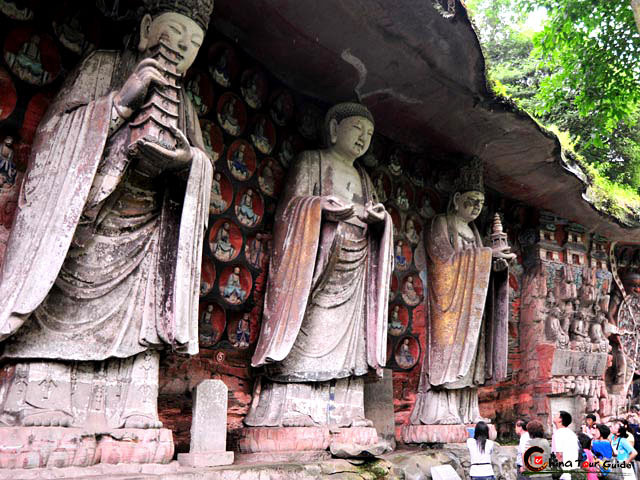 Eling Park, also called Goose Neck Park , lies on Eling Mountain to the west of Chongqing City. It offers a grand view of both the Yangtze River and Jialing River. The mountain is high and steep and towers into the sky as if watching over the mountain city of Chongqing. Eling Park was built during the late period of the Qing Dynasty (1644 - 1911). 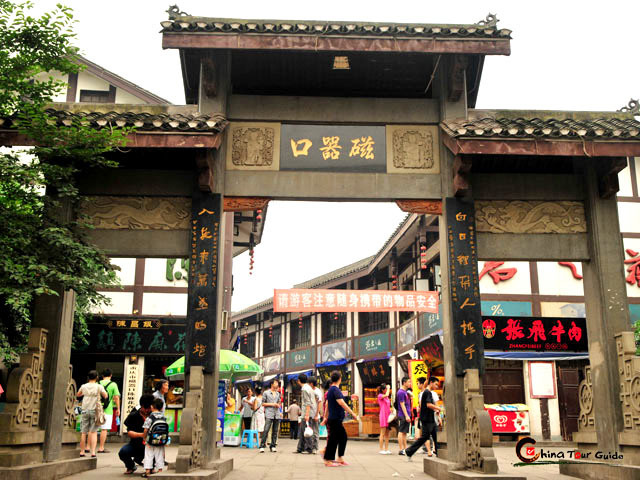 Originally, it was a private garden and called "Yiyuan". 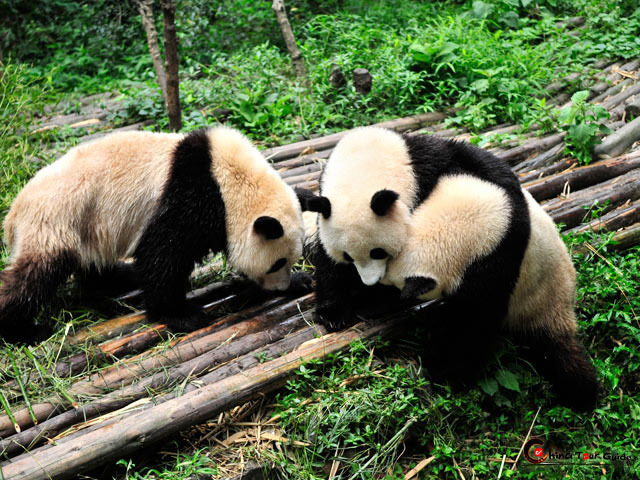 Later, a rich businessman purchased the place, converting it to a villa and naming it "Liyuan". A friend of the garden's owner, calligrapher named Zhaoxi, felt the topography of the mountain resembled a goose's head, so he wrote down two Chinese words (means Eling Mountain) to the owner. The owner was very happy and immediately he carved and set up a stone tablet titling the garden "Eling". This is the origin of the name of Eling Park. 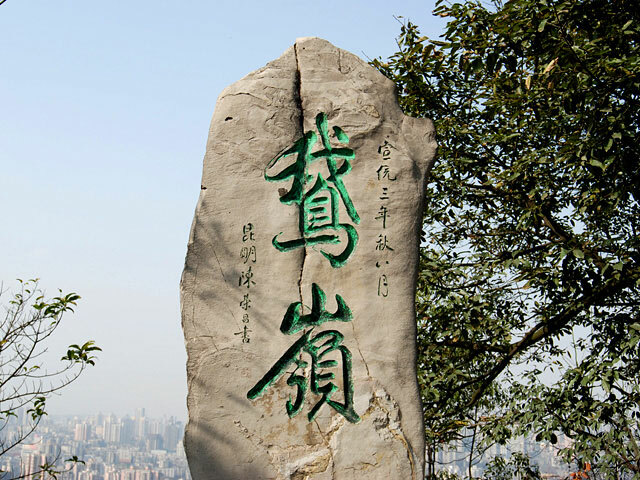 Chinese character "E Ling" in the Eling Park, Chongqing. Seen from the top of Eling Park. In 1950, Eling Park was used as a military sight. The park displays the typical layout of Suzhou gardens. There are pavilions, platforms, high buildings, winding paths and corridors, lotus ponds, and arc bridges throughout the whole garden. 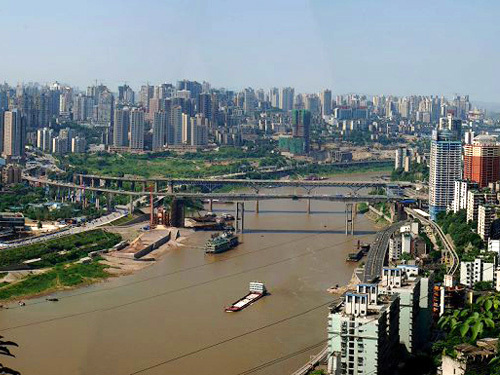 In the park, you can take a grand view of both Jialing River and Yangtze River as well as the Chongqing skyline. Additionally, there are potted landscaped gardens, each with its own unique characteristics. The beauty of Eling Park has been the subject of many old Chinese poems. Do not miss seeing it for yourself! 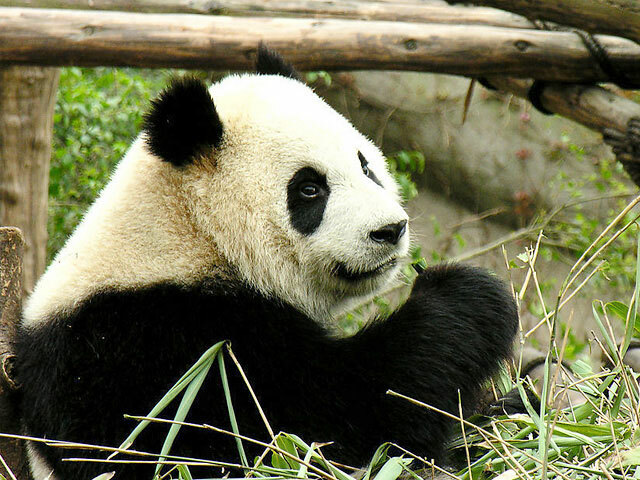 Please click " " to add the attraction in you favorite list, let us plan a private Chongqing Tour for you.